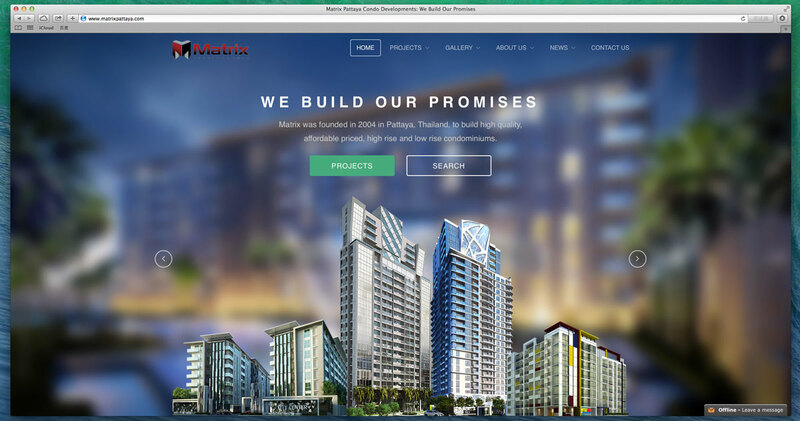 Matrix was founded in 2004 in Pattaya, Thailand, to build high quality, affordable priced, high rise and low rise condominiums, architectural highlights that stand out in Pattaya, Jomtien or Cosy Beach area. Each location of a condominium is chosen with future potential value growth in mind to get the most out of the investment. We hired Skyren as our website master about 2 years ago. Right after signing of contract immediate action was made. They designed, build and launched our website and shortly after we started getting inquiries. Their SEO skills are phenomenal and so are their personal manners. For most people the world behind the website is something magical, something what we don’t know about. At Skyren they helped us understand the basics and about the things we couldn’t understand, well, they take care. We are delighted with the results and now moved our business to much larger audience and Property Sales in Pattaya! 1: Contact Us to get a quote! 2: Make the deal, All the work just leave to us! 3: 1 month later, job done! check your brand new website!